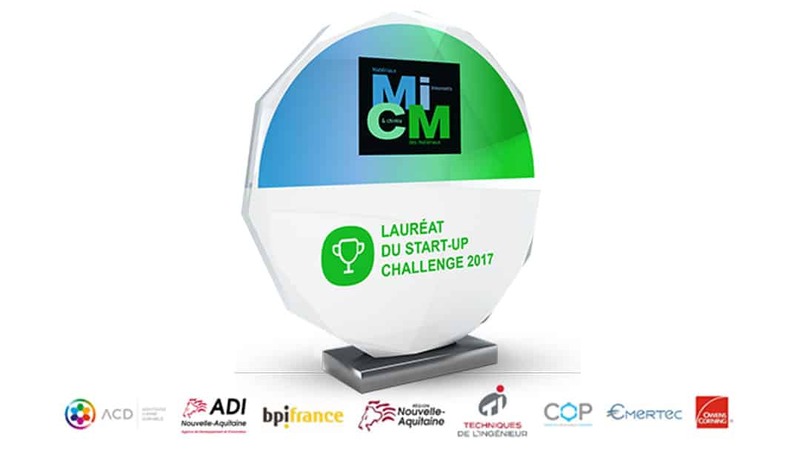 Carbon Waters has received the 1st prize at the strat-up business challenge organized at MICM 2017. MICM is a innovative material business event with 600 participants from different industries : aeronautics, packaging, environment or energy. Carbon Waters was selected by Emertec (major European private equity player for innovative materials sectors), Techniques de l’ingénieur (Scientific and technical intelligence services) and the “Nouvelle-Aquitaine” Region.